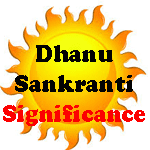 Significance of dhanu sankranti, what to do in dhanu sankranti, importance of dhanurmaas/mal maas/khr month. When sun enter in Sagittarius zodiac then this time period is called "Dhanu Sankranti". 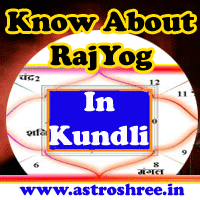 This time period is said to be very auspicious and keeps importance as per vedic astrology. It is said that whenever sun enter in any zodiac of Jupiter i.e. Sagittarius or Pisces then that period is called "Mal Maas/Khar Maas". Every year 2 months is of mal maas or khar maas because sun enter in Sagittarius or in pisces, so 60 days in a year are very auspicious. The period in which Sun resides in Dhanu or Meen Rashi is known as Dhanurmaas or mal maas or khar maas. To start house construction is prohibited. To enter in new house is also prohibited. Pran-Pratishtha of any god or goddess is also prohibited. Now Let's See Which Work Can Attract Success In Life In Dhanu Sankranti? Although there are many auspicious works are prohibited but there are many other work which brings success in life if done when sun resides in Sagittarius zodiac. This month is important to worship Sun. If any one want to enhance will power, body power then Dhanurmaas is good to perform practices. To enhance eye sight , it is good to give ARDHYA to sun in the morning daily. If any one want spiritual development then also dhanu sankranti is good to perform practices. To attract any materialistic benefit , do perform pooja after dhanu sankranti for 1 months. Do donate cloth, food, money as per capacity to needy ones. So dhanu sankranti is very important and auspicious too. If we use this sacred month to gain virtue then no doubt life will become wonderful and successful. Perform practices to overcome from depression. Perform prayers to enhance will power. Perform practices for spiritual development. To increase lineage do do worship in Mal Month. Get success in life by doing prayers in dhanurmaas.